As one of the leading gated golfing communities in the region, Colliers Reserve in Naples, Florida is a favorite for golfing enthusiasts and fans of peaceful living alike. Why? Because it’s 448 acres are set around a natural wetland preserve on the Cocohatchee River, and include the world’s first Audubon International Signature Sanctuary, created by one of North America’s oldest bird conservation groups. Located on the northern side of Immokalee Road, North Naples, Collier Reserve is less than a mile east of Vanderbilt Beach. Its central location means it’s a stone’s throw from the trappings of a modern urban center with several schools and the North Naples Hospital all within a half-mile, and several superb dining and shopping options sited locally. Meanwhile, Goodlette Road and the North Tamiami Trail both run south into downtown Naples itself, so the very best of the city is only a few minutes’ drive away. In all, Collier Reserve has 224 homes divided among five areas or tracts. On the northern bank of the Cocohatchee River are Tracts B (western and northern Collier Reserve Drive) which has a total of 55 homes, Tract C (eastern Collier Reserve Drive, and Gormican Lane) with 66 homes, and Tract D (Pocantico Lane) with just 11 homes. On the south bank of the Cocohatchee River are Tract E (Dimmock Lane) with just seven homes, and Tract F (Barcarmil Way), which is the largest development with 82 homes. The homes range from 3 bedrooms up to 6 bedrooms, and in sizes from around 3,000 sq ft to almost 6,000 sq ft. But because the homes are set on lots that are larger than usual, homeowners can enjoy a greater degree of privacy. At the heart of the community is Colliers Reserve Country Club, with membership available to all residents as well as non-residents. It features an 18-hole Arthur Hills-designed championship golf course, as well as tennis and pool facilities, and excellent dining. The Boathouse is a particular favorite amongst residents, offering riverside dining as well as canoes and a pier for fishing. Colliers Reserve Homes For Sale - Updated Daily! The residents of Collier’s Reserve in Naples, Florida share a unique distinction. It is so unique that no one else in the state of Florida – or anywhere else in the world can claim it. Collier’s Reserve is the world’s very first Audubon Signature Cooperative Sanctuary. This official designation by the Audubon Society assures homeowners that these Signature Cooperatives are sanctuaries that preserve a friendly environment, not only for themselves but also for native wildlife and their natural habitat. The Cocohatchee River is an integral part of Collier’s Reserve, winding its way quietly through the neighborhoods and the golf course. The river has been called “one of Florida’s most scenic waterways,” complementing a community often referred to as “among the most picturesque in Florida. Collier’s Reserve is a meticulously planned community occupying 450 acres just two miles east of the Gulf of Mexico and eight miles from the heart of Naples itself. Interstate 75 is only four miles to the east, providing easy access to Florida’s other major metropolitan areas and attractions. Thirty percent of the land is preserved in its natural state in perpetuity. Only 224 residential properties are available in Collier’s Preserve. Each is a custom, estate home with a minimum required square footage of 2,800. Some floor plans exceed 7,000 square feet. 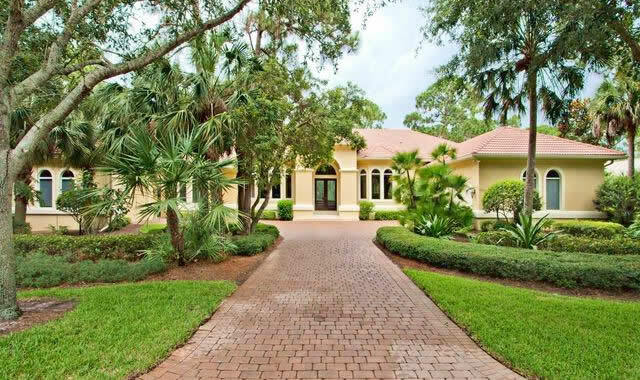 Collier’s Reserve is considered one of Naples most exclusive private, residential country club communities. An equity club, it offers some of the finest amenities for residents in Southwest Florida, including the 18-hole, Arthur Hills golf course. Private lessons are available for the 300 members in both golf and tennis, taught by staff professionals. With four exclusive dining options, residents can eat out, so-to-speak, without leaving home. The Boathouse Restaurant sits next to its namesake, where canoes and kayaks are available for enjoying leisurely times on the river. The restaurant has an Old Florida feel in a casually elegant setting. The Cocohatchee Room, featuring gourmet dining, brunches, after-golf buffets, and a variety of special-themed social events, overlooks the 18th green. Whether the occasion is formal or informal, Collier’s Reserve’s Cocohatchee Room is the epitome of sophistication and upscale ambience. The North Naples location of Collier’s Reserve offers an array of upscale shops, restaurants and other essential business just minutes beyond the gate and guardhouse. The post office and Naples Daily News are directly across from the entrance. North Naples Hospital is only yards away. P.F. Changs and the Watermark Grill are just around the corner. Collier’s Reserve home sites range from one-third to three-quarters of an acre in a luxurious, sub-tropical setting of understated elegance. At the same time, the community provides a lifestyle that is at once intimate, informal and inclusive.